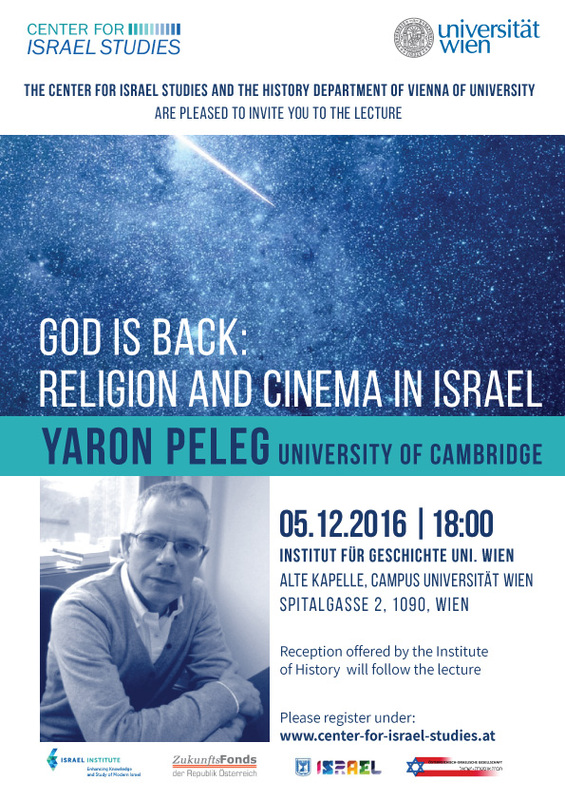 Dr. Yaron Peleg is Kennedy-Leigh Lecturer in Modern Hebrew Studies at the University of Cambridge. 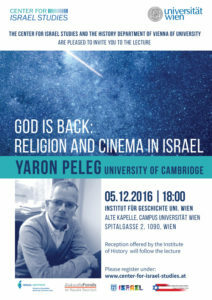 His publications include Directed by God, Jewishness in Contemporary Israeli Film and Television (2016), Israeli Culture Between the Two Intifadas (2008) and Orientalism and the Hebrew Imagination (2005). He is also co-editor of an anthology of articles on contemporary Israeli cinema, Identities in Motion (2011). 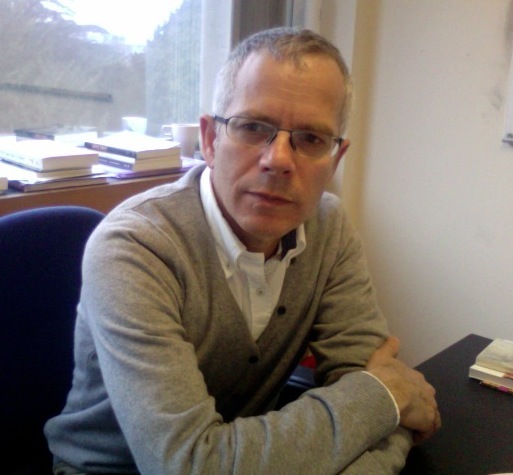 Dr. Peleg has also published articles on topics, including literary critiques, which examine the concept of Land in modern Hebrew prose, attitudes toward militarism, homoeroticism in biblical as well as more modern Hebrew literature and various articles about Israeli cinema that focus on gender, masculinity, ethnicity and religiosity. This entry was posted in news (en). Bookmark the permalink.